Poll: Who would get your vote to be the next President of Ireland? 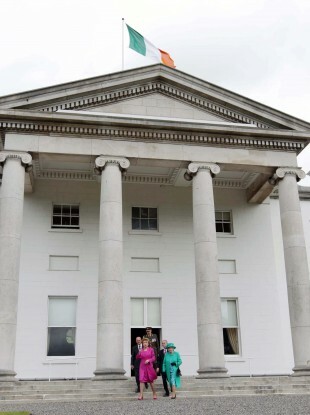 There are now five candidates looking to become the next president of Ireland. But which one gets your vote? WITH SATURDAY’S NOMINATION of Gay Mitchell as Fine Gael’s candidate for the presidential election later this year, the list of candidates facing the electorate is now becoming clear. MEP Mitchell beat off fellow party hopefuls Pat Cox and Mairead McGuinness to secure his party’s nomination. He will be up against former arts and culture minister Michael D Higgins, who was selected by the Labour Party last month. Also in the running is independent senator David Norris who has consistently led TheJournal.ie polls on the presidential race. Norris is one of three independent candidates. Another is Seán Gallagher, the businessman and Dragons’ Den judge who claims to have the support of a number of county councils. He needs the endorsement of four councils in total or 20 members of the Oireachtas to secure a nomination. Also lobbying for similar support is fellow independent Mary Davis, the former head of Special Olympics Ireland. So, if you could vote today, who would you pick to be the next President of Ireland? Email “Poll: Who would get your vote to be the next President of Ireland? ”. Feedback on “Poll: Who would get your vote to be the next President of Ireland? ”.